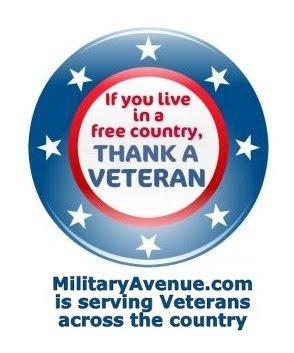 We are offering a free upgrade to any business that offers a military discount through February 15th. This upgrade will allow you to place one image, a hot link to your website along with your business information. Eye Candy increases traffic. Using images such as your logo, product or personal photos draws people in - and makes them pay more attention to your content. Plus images on your ad will make customers zoom into your adspace and will increase search engine hits. Face it: Eye Candy increases traffic and that equals increased sales! Within your adspace, captions on the images will also benefit your ad traffic. Consumers relate more to images that you have taken of staff, facilities, houses, or any image within your market. Make yourself and your business more relatable, this builds trust and trust builds long-term customer relationships. Take advantage of this offer before February 15th. Current Advertisers: Log into your account and select the upgrade, you do not need to create a new account. Log in here: Account Log in. Use the coupon code "VISUAL" for the 'First Class Package' option at no charge. VISUAL has to be all caps. Here are some step-by-step directions if you would like some assistance. New Adverstisers: Click on Business Sign up, Scroll down to 'First Class Package' and fill in your information. At the end of the process please use the coupon code "VISUAL" to get the package at no charge. VISUAL has to be all caps. Use a picture. It’s worth a thousand words. The internet is finally catching up with what the offline world has known for a long time.